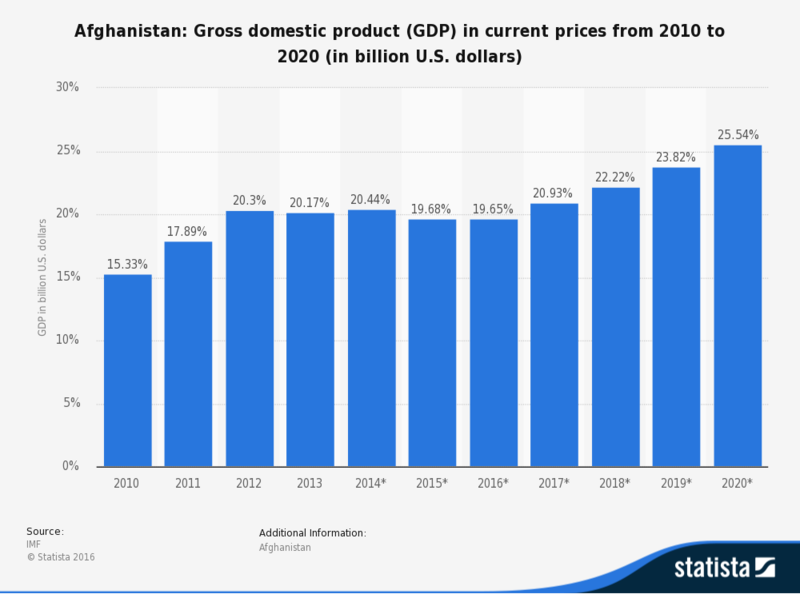 Scooper - Technology News: What does the future hold for Afghanistan? The Afghan government has not been able to optimally exploit the resources it has at hand. The latest reports by international organizations, meanwhile, reveal that the Afghan government has fallen short of collecting the amount of revenue it had promised to international donors. Meanwhile, economic crisis and recession has disheartened Afghanistan’s international backers and caused frustration among the country’s citizens. The main question that remains is: what is the solution? Before examining a potential answer to this question, it is worth briefly laying out the factors and causes of economic crisis in the country. Insecurity . Based on the latest intelligence and security reports, militants control 30% of the Afghan territory or somehow exercise influence over it. In the meantime, the emboldened terrorists have been threatening the economic arteries of the country. Terrorists in Afghanistan have been intensively seeking to stop the legitimate cycle of the economy and pave the way for the growth of the illicit economy to access more sources of revenue. With their persistent attacks on major cities, terrorists have caused a flight of human capital from Afghanistan. Insecurity has demolished hope for the future with engagement between sellers and buyers brought to a minimum, as they fear for their lives. Fragile political stability . The formation of a national unity government in Afghanistan has raised hopes for cooperation and teamwork among various political blocks in the country. However, as time goes by, it becomes evident that the level of trust and cooperation is falling and at times there is also fear of political breakdown. The allocation of government positions to certain individuals and groups has made it harder for cooperation and joint endeavours to take place. It turns out that favouring personal interests over the needs of the country has become something of a national tradition. In the meantime, lack of job security has contributed to abuses of power by senior Afghan officials. Corruption . The promises of the national unity government to eradicate corruption have not been fulfilled and the government of Afghanistan still suffers from rampant corruption. Hundreds of corruption cases involving senior government officials are still pending in judicial institutions, bringing into question the unity government’s leadership on the eradication of the problem. Lack of rule of law . Weak management and inefficiency of the Afghan government has caused a breakdown in the rule of law at various levels of society. Lack of rule of law has, on one hand, facilitated major administrative and political corruption in organizations, backed by judicial impunity for perpetrators, and on the other, it has brought support for and security of private and public properties to a minimum. Lack of civil security for investors and their relatives has forced the average businessmen to flee. No confidence in the future . Insecurity, lack of political stability, poverty, unemployment, poor governance, corruption and lack of accountability from the government to the public have caused citizens to lose hope for the future, making citizens not only lose interest in the economic cycle of the country but also making some of them leave rather than stay in Afghanistan. According to the Afghan constitution, a market economy has been adopted as the economic policy of the country. In this globally approved system, the private sector should play a prominent role. Over the past 15 years, the private sector has played a critical role in the mitigation of poverty, creation of jobs and flow of money and capital into the economy of Afghanistan. Yet, the Afghan government has failed to pave the ground for acceptable economic conditions so that it could attract more foreign and domestic investment. Besides becoming a good environment for investment, the private sector seeks profit, security of capital and government support for business. Since the establishment of the national unity government, the expectation has been that the Afghan leadership seek more foreign and domestic investment so that the economic situation changes. However, the factors mentioned earlier have instead brought about a flight of capital. The national unity government faces a trust deficit. Lack of economic perspective and a government stuck in insecurity means Kabul is a failed system. The business community in Afghanistan were hoping that the government would work and coordinate with them closely. However, it is two years since inauguration of the national unity government, and it looks as if the government distrusts the private sector. A shrinking business environment is not in the interest of the government. No indicators point to a better situation in Afghanistan. In such conditions, applying pressure in the name of reform discourages the private sector even further, and confronts the economic system of Afghanistan with serious challenges in the near future. The government should trust the private sector and remove surrounding misconceptions. The coordination between the private sector and the government of Afghanistan is urgently needed. Since there are no signs of a better investment environment, the government should avoid moves that could discourage national businessmen from investing in the country. In such a critical situation, increasing government pressure - in the name of reforms - on the private sector could only lead the country to economic decline. The government should encourage the private sector to invest in Afghanistan with support and increased coordination. Nationalization and monopolization of specific sectors are not in the interest of the government as it is unable to manage these sectors effectively. Going after the private sector with excuses and pretexts will bring about further capital flight and a decrease in investment.